UPDATE: Construction at the James Farm Ecological Preserve entrance area will continue into early spring. While the Preserve remains open during construction, parking will be restricted to the east side of Cedar Neck Road. Please do not block construction activities and proceed by the construction entrance with caution. Visitors are asked to take their trash home for disposal. Pets are invited but must be leashed at all times. 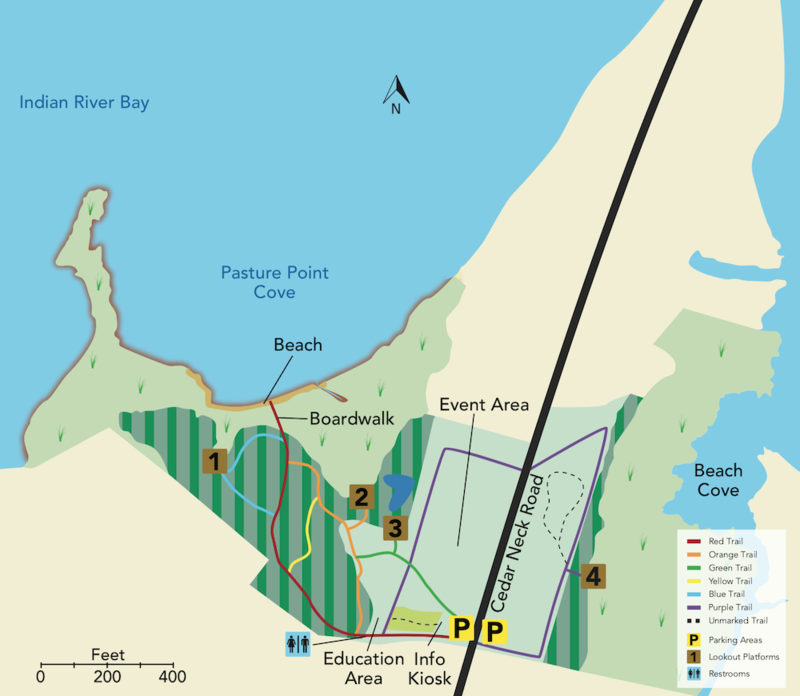 The James Farm Ecological Preserve is an oasis of wild land on Indian River Bay, located just a short drive from Bethany Beach, Delaware on Cedar Neck Road in Ocean View. From the sandy beach at low tide, you can walk the trails through seven distinctive habitats; from the salty flats of the low marsh with its salt marsh cord grass and glasswort, through the shrubby high marsh with bayberry, marsh alder and salt marsh hay, into the shade of the loblolly pines, holly and red cedar of the maritime forest, into the deep shade of the hardwood forest under a canopy of southern red oak, hickory, sweet gum and sassafras, finally to emerge back into the sunshine in the meadows that were once farm fields. In 2014, the Preserve felt the footsteps of 10,000 visitors, many with their four-legged friends, and welcomed nearly a thousand students for a day of watershed education. It became clear that to protect the forest, marshes, beaches and wetlands AND accommodate the needs of a growing number of visitors, a plan was necessary. This led to the creation and implementation of the James Farm Master Plan. Get outdoors for some fresh air and exercise with the James Farm Volunteer group! The group meets at James Farm every Wednesday from 9am to Noon to clean up the area by cutting grass, trimming vegetation, completing small construction projects, and more. This is a year-round opportunity that may be cancelled or postponed due to weather. To join in, email the Property Manager at jamesfarm@inlandbays.org, call (302) 226-8105 x 111…or simply show up! We can’t wait to meet you! We have developed activities for children Pre-school to 6th grade that are closely correlated with Delaware Science Content Standards and Performance Indicators…and they are fun! If you are interested in bringing your group to James Farm for an outdoor learning experience contact us at (302) 226-8105 x 103 or by email at abarra@inlandbays.org. The 150-acre James Farm property was a gift to Sussex County from the late Mary Lighthipe, a descendant of the James family who had farmed the land for generations. She gave it in memory of her son, Harold, who died in an automobile accident. She gave it with the condition that the property be used for environmental education and recreational activities. 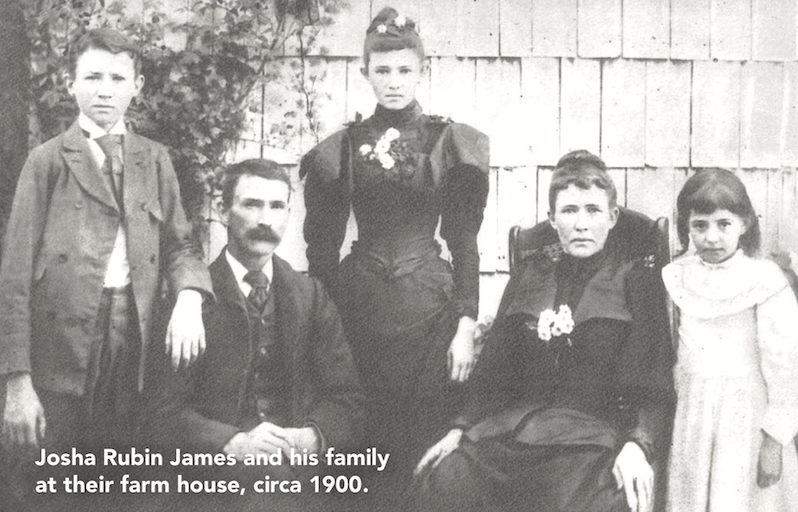 Learn more about the history of James Farm. In the fall of 1998, the Delaware Center for the Inland Bays was asked by the County to manage the property. Since that time, the CIB has worked with volunteers and partners to create an ecological preserve. The preserve now features more than three miles of marked hiking trails, three observation platforms, a boardwalk beach crossing, wildflower gardens, an amphitheater, an informational kiosk, rest areas, and more than 4,000 trees purchased and planted in a USFWS Partners in Wildlife reforestation effort. Your generous donations allow us to maintain the James Farm for visitors to enjoy. They also allow us to implement numerous restoration projects that benefit the wildlife in the area. A freshwater wetland area has been created adjacent to the intersection of two of our trails. This should be a good spot to see deer, ducks, reptiles and amphibians. Stumps and a dead tree crag placed in the water to give variety and a head start to this created habitat. Next to the wetland is an observation blind for viewing wildlife. Because of the diversity of habitats and open space, the James Farm is an excellent location for birding, particularly during spring and fall migrations. The Center for the Inland Bays holds the Gardening for the Bays Native Plant Sale in May. School programs are held at the James Farm in the spring and fall. EcoBay Kayak & SUP is the only approved vendor available at the James Farm Ecological Preserve, offering kayak and stand up paddle rentals, classes, tours, summer camps and more! 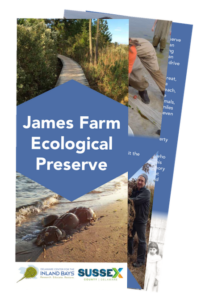 A portion of all proceeds go to supporting the James Farm Ecological Preserve!